Over the centuries, most of the blackjack players have hit the limelight thanks to their contributions to theories, their casino exploits, or the bestselling books they wrote. Without their dedication and efforts, we wouldn’t know about the theory of playing blackjack, card counting, basic strategy, and many other advantage plays we discuss here. The Modern Blackjack world can exemplify a lot of examples - genius strategists, great mathematicians and legendary players. Some of them are popular celebrities, others are just weird hermits. But some, we'll never know their real names nor their identities in this era of anonymous internet usage and online transactions. Today we present you the most memorable quartet (to our mind) of online blackjack players- the masters of the strategy and the maestros of the count; The heroes and former heroes who are making or made a mark in Blackjack history. We felt vindicated to mention one of the most vocal and famous winner of modern Blackjack; Don Johnson. Don Johnson is a high rolling blackjack player who made close to $15 million ($6M in The Tropicana, $5M in The Borgata and $4M in Caesar's) in the spring of 2011. Don Johnson was subject to scrutiny but it was established that he was not a cheat including card counting (considered cheating in most casinos). His near perfect decisions during game plays were attributed to his complete understanding of the odds, house edge game rules and practice. He told the Atlantic Magazine that his mastery came from online practicing at the very same casinos he won. Brian Zembic is famous for choosing strange and odd wagers. He is a typical gambler by nature. In one of his most infamous bets was accepting to have breast implants and keeping them for a year for a $100,000. The press call him “the world’s biggest punter” due to his monumental annual betting turnover of a billion dollars. The casinos call him “The Loch Ness Monster” for his rather eventful casino appearances. He started his lucrative gambling career playing blackjack as an advantage player. He became famous amongst the casino circles as a highly innovative and talented player. It was not long till he was banned in almost all US and Australian casinos. Just like many other banned players, Zeljko took to the comforts of the less conspicuous online blackjack. Mike Aponte is a household name in the Blackjack industry. He was part of the dreaded MIT blackjack team, the most prosperous blackjack team in history. His identity as “MIT Mike” was leaked and it didn’t take long for him to become blacklisted. It became impossible for him to use strategies such as card counting, his career as a professional blackjack player in brick and mortar casinos collapsed. 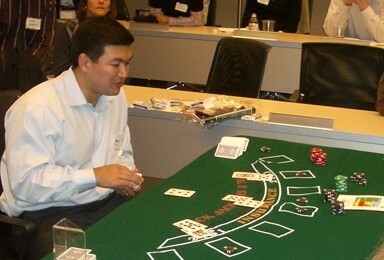 Aponte however, continued his involvement in Blackjack. He resurfaces from time to time after his online blackjack wins. Of course this list is far from being complete. I believe there are big players out there using ‘eight letter’ usernames and winning big in online casinos all over. We will never know some of these guys, but their legacies will always be with us.